At Marquez Iron Works, we custom-design and precision-install all types of residential iron railing, including stairway railing. Our staircase railing is available in both simple as well as highly ornate designs, and we specialize in decorative stair rails. We offer our stair rails in a choice of metal types, including iron, steel, stainless steel, aluminum, cast iron, and wrought iron. 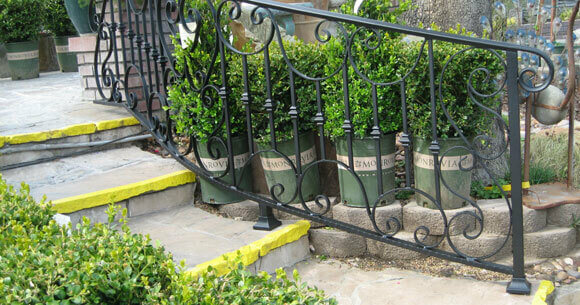 In addition, our railings can be finished in our standard powdercoat black and bronze finishes, as well as a limitless selection of customized powder coat shades, to provide the perfect architectural accent to your home or business's decor. 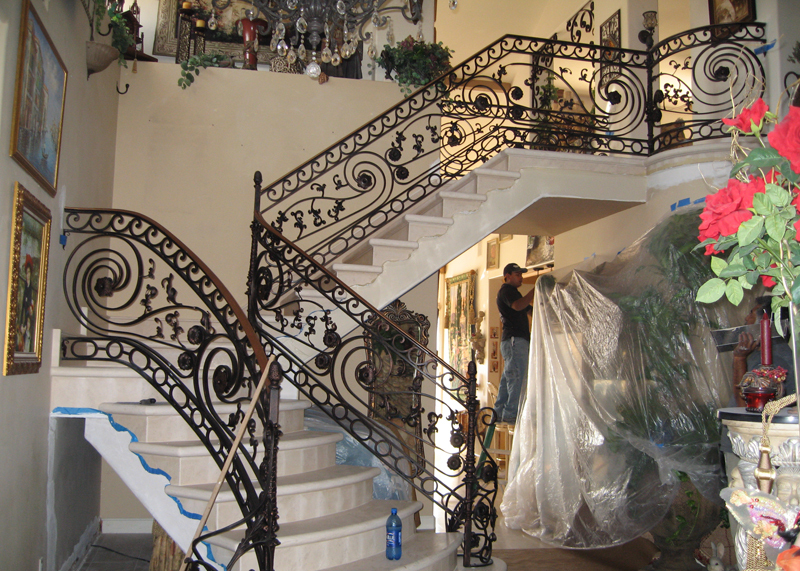 At Marquez Iron Works, no railing project is too small or too large for our ironwork specialists, who pride themselves on adhering to only the highest standards of professionalism in all that they do. We provide stair railing for staircases of any size, from just a few steps, to railing for staircases in multi-story buildings, and provide our stair railing at very competitive prices. Call us today. We provide our comprehensive iron work services to all of Orange County, and offer free onsite consultations and estimates. The professionals at Marquez Iron Works hold a C-23 Ornamental Metal Contractor's license, and are bonded, and insured. Found them in the yellow pages and got a same day estimate with a rep coming . . .